Is it snowing in Sepidan Ski Resort ?Thank you! 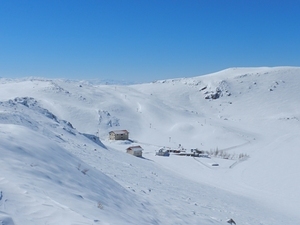 Sepidan (Tarbiat Badani) ski resort is the most southern ski resort in Iran and Middle East and as a result, benefits from great sunshine even in January. 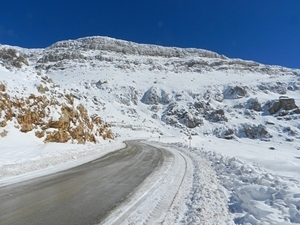 It is located 80 km far from Shiraz and 5 km far from Sepidan. 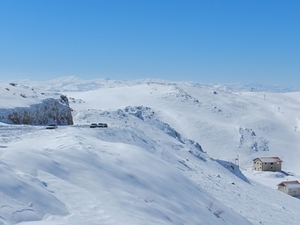 Elevation of this resort (Sepidan Ski Resort) ranges from 2605 to 2655 meters from sea level. It has only one surface lift and food and tea facilities. The ski season in this resort usually starts from late December and finishes in mid March and sometimes this period extends to late March. Last winter was the 2nd. season which I could ski in Zagross mountains in Fereydoon shahr, most western part of Isfahan. Koohrang, most western part of Bakhtiari. East Dena, between Yasuj and Kommer in Kohkilooye & Boyer Ahmad. and Sepidan in Fars province. North-east suburb of Sepidan, there are 2 choices: Pooladkaf ski resort which is private and is going well his plans, and can be compared with the resorts in Alborz arround Tehran. But, Sepidan, Dena east (Yasuj), Fereydoon shahr, and Koohrang governmental pists are all so primitive with one or two surface lifts and without snow machines, to compact the tracks! Therefore, slopes grooming are done by skiers. and there won,t be any discussions about other poor side facilities... in one word, nothing !? The Bakhtiari pist is a little bite better because of the city services in hand ! the city of Koohrang(chalgerd). Some of the above pists are working half day in the afternoon, others week-ends on thursday & friday only !